Seoul has launched a new comprehensive support programme for business events. The package expands Seoul’s programmes further enhancing qualified business events at every level from the planning stage to final event. 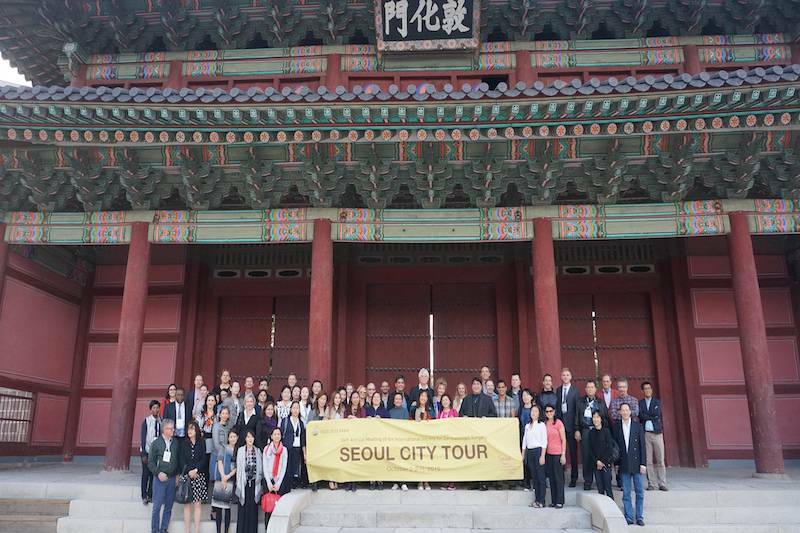 Qualified events are now eligible for customised guided MICE tours offering attendees an in-depth look at Seoul’s historic sites, cultural attractions, and related industries. Three groups recently took advantage of the programme and each enjoyed unique opportunities. One opted for a tour through Huwon, the tranquil secret gardens of Changdeokgung Palace (a UNESCO World Heritage Site); a transportation meeting took an extensive look at how Seoul’s daily traffic was expertly handled using Korea’s cutting-edge IT technology at the Seoul Transport Operation and Information Service center (TOPIS), while a group of VIP accompanied guests enjoyed a private culinary experience making kimchi at the Museum Kimchikan. Another new feature event organisers can now apply for is the Seoul MICE Card for event attendees. These cards come with 5,000 KRW pre-loaded and can be used on Seoul’s subways, buses, and taxis. The rechargeable and reusable cards have become a popular item for event attendees as they can also be used to make purchases at select merchandise stores and shops including bakeries, cafes, and convenience stores. These expanded support services join a range of other existing programmes including bidding support, unique venue search and site inspections. For promotional support, the city offers Seoul Welcome Kits for delegates, a complimentary welcome message at Incheon International Airport, and subsidies for the use of trained MICE Supporters to provide logistical and operational support during events.